A healthy brake system is important for any vehicle. It requires regular maintenance to keep the system working properly and that’s where our Jeep service center comes in. Our convenient hours and close proximity to Nashua allow you to visit our Jeep service center when its best for you, and Contemporary Chrysler Dodge Jeep RAM will get you back on the road in no time. A bad odor when you apply your brakes means something isn’t working properly or is about to fail. Overheated brake pads lead to unreliable braking patterns.  The team at Contemporary Chrysler Dodge Jeep has provided top notch service for many years now. Our factory trained service technicians have the training and tools to provide quality Jeep service, whether you need an oil change, tire rotation, or brake maintenance. Contact our Jeep service center near Nashua to schedule a brake inspection today!